If there is one thing which can be said about gamers, it’s the fact that they live and breathe their favourite games. Gamers tend to congregate with others who enjoy the same games they do and are active on social sites with pages dedicated to the games they play. Have you ever wondered what it would be like if you could create your own forum so that you could control the content and set up chat rooms where other gamers like yourself can share tips, tricks and cheats they’ve gathered along the way? Actually, it’s easier than you may imagine because there are dozens of WordPress themes designed just for gaming blogs. Also, you can learn to embed games on your website to attract other gamers who want to try new games just for the fun of it. While you won’t have the latest Minecraft or Halo games, you can add a few fast and easy games like you’d find on Big Samo. These will help your online friends step back from the torment of being unable to reach the next level – if only for a few minutes of fun. Now then, let’s look at some awesome WordPress themes which are absolutely perfect for the gaming blog you have in mind. After you’ve found a WordPress hosting service, it’s time to find an awesome WordPress theme for your gaming blog. The first thing you need to think about is the purpose of your blog. Will it be mostly dedicated to user reviews and articles on upcoming new releases? Will you have a WordPress forum, and will you also offer games which can be played right there on your site? Does it allow you to add widgets and plugins? Does it interface well with the video app you’ll need to play any games you are going to embed? This is a critical step in choosing the right theme for your blog, so take enough time to determine what you want to do with your WordPress theme. Not only can you go to the official WordPress site, but you can do a quick Google search on WordPress gaming themes. 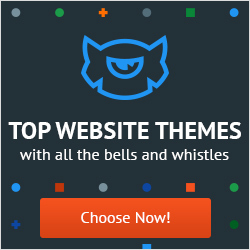 Some themes are free, others are paid themes which can be customized for your blog. For example, when searching for WordPress gaming themes, this is a site which comes up on the first page of the SERPs (Search Engine Results Pages). While you can always chat while playing your favourite online games, sometimes the action goes by so quickly that you don’t need the distraction of a chat feature. This is one of the biggest reasons why WordPress blogs and forums for gaming are so popular. You are building a community of like-minded gamers who enjoy talking to other gamers like themselves and it’s a way to build a social following. If you are a game developer, this is where you get your start. Are you still looking for an awesome WordPress gaming theme? What are you waiting for? There are dozens out there, so have a go at it!